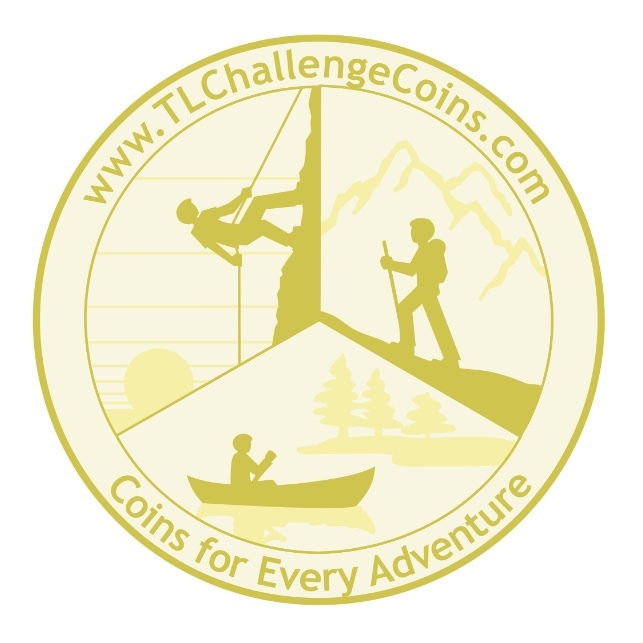 You may have already noticed, but we finally have a logo here at TL Challenge Coins! When we first launched, I was more concerned about working up some great artwork for our first coins than I was about a logo for the company. It sat on a back burner for a long time. Little pieces of it came to mind here and there as we did different things with our Troop. With time, it occurred to me that I’d love for the logo to represent some of my favorite parts of the many adventures we have been on in Troop 98 of Trail Life USA. Eventually, a rough idea was formed in my head, which I presented to my much better half. She took my ideas and turned them into the striking piece of artwork that you see below. She always delivers!